The Man in Blue > Happy Bokeh Type! I just can't get enough of totally Bokeh'd out lights. There's something about the mixture of vibrant colour and transparency that draws me like a fat kid to donuts. So when I saw NNSS's identity for MG54 Naturaleza Digital it totally blew my mind – in concept, vibrancy, and all round goodness. The thing is, I'm seeing things in movement nowadays, and I couldn't resist putting the algorithmic touch to their beautiful work. 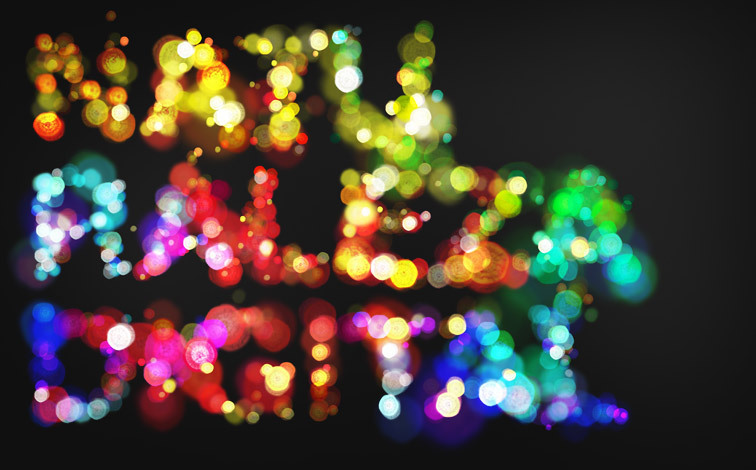 The result is Bokeh Type, a fun little diversion for two minutes or five hours, depending on how stoned you are. The source files are here if you're interested in how badly I code. The day is young, Andrei! Any chance you're posting the source code with it too? Being evil's more fun, Dmitry. Cam: The colours children, the COLOURS! Nice work man! Flash or not, it looks great. But what does that matter, given this is a demo/art piece, not commercial work - is *your* audience really 80% IE? That's why it was the third point in two much more important points.